SleepDisorderCure.net - Why people snore maybe is the question that most of people have and they don’t know the answer. But, one thing for sure, snoring is one of sign that you have sleep disorder. Therefore you need to cure it. However, some of people see someone that snores during their sleep is considered good thing. They see it that that people is in deep sleep. Of course, that was wrong. In normal condition, your respiration system won’t produce sound like what you can find on snoring people. Therefore, there is something wrong in that system. 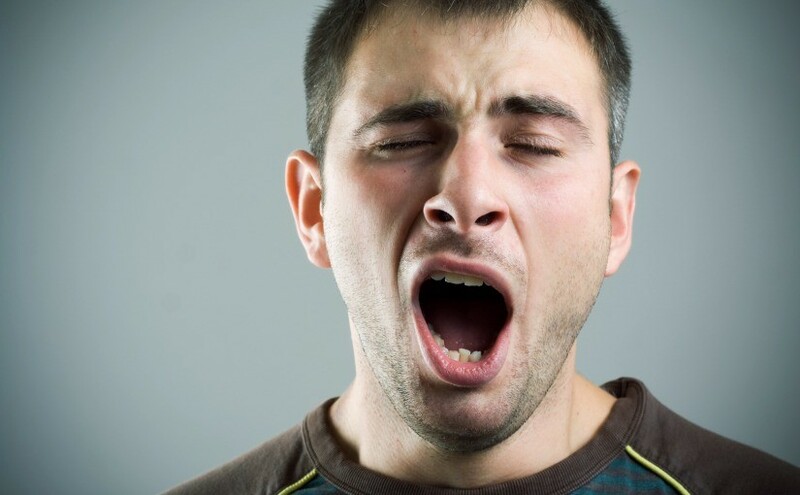 There are several conditions that can disturb your respiration system and it will make you snore. But, in most case, your muscle is too relaxed. When you are sleeping, your muscle will relax and rest. But, because the upper airway muscle on your airway is too relaxed, it makes the airway become narrower. And, the air that goes pass that way will become much difficult. This is where the snore came from. The other reason why people snore is their body structure. Even though they doesn’t have problem, the big size tonsils, tongue or muscle around neck can make him/her snore. We don’t say that all people that have this condition will snore when they are sleeping. But, this condition gives more possibility that this problem occurs. The other reason is you have sleep disorder. One of them is sleep apnea. Sleep apnea is one of the sleep disorders that occur because of respiratory system problem. Therefore, one of the symptoms of sleep apnea is snoring. So, if you take sleep test or check your health to doctor and find out that you have sleep apnea, you are definitely snoring. If you can deal with this sleep problem, you also can cure your snoring problem. However, snoring also can caused by age. When you grows older, your muscle won’t be able to keep it position like when you young. This will cause snoring. Read also: What Is Sleep Apnea Definition? There are many bad effects of snoring. Snoring means you can’t sleep well. And, in worst case, because of snoring, your brain will tell your body to keep awake. That will give your body little time to restore its condition. And, this will make you more prone to other disease. Your body won’t be able to maintain its immune system. That will give many chances for virus or bacteria to enter your body and cause health problem. There is worst effect. When your body is unable to rest and regenerate its condition, it won’t be able to produce sufficient insulin. Insulin is the substance that will break the sugar in your blood. And, if you don’t have it, there is big chance you will get diabetes. Other effect is obesity. When you don’t get enough sleep, you will feel tired. When this happen to you, your body will need extra energy to keep work during the day. In the end, you will eat more, which cause weight problem. Basically, those were few things that you need to know about why people snore.When snoring then becomes very disturbing, it is necessary to see doctor to do a sleep disorder test. 0 Response to "Why People Snore"
What Is Sleep Apnea Definition ?